Danish singer Sinne Eeg is one of the most talanted female singers on the Scandinavian jazz scene. With five albums, she has established herself as a Danish jazz singer with great international potential. 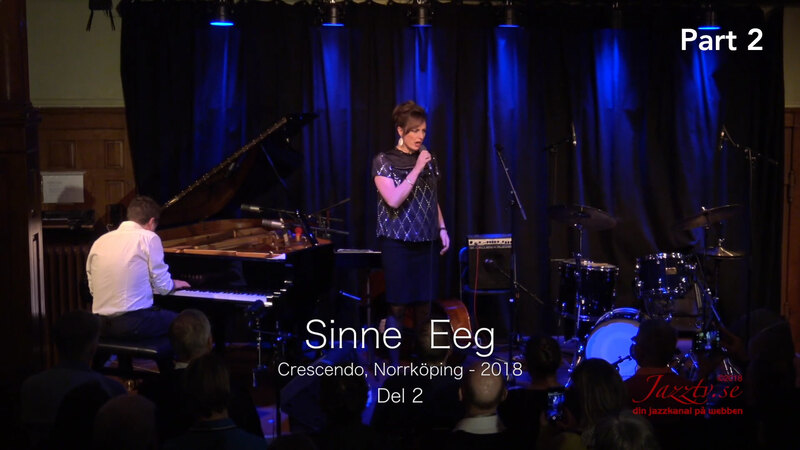 Sinne Eeg has been influenced by Nancy Wilson, Betty Carter and Sarah Vaughan. She has a personal tone of Scandinavian melancholy rooted in her musical appearance. She received the 2008 Danish Music Awards “This year’s Danish Vocal Jazz album” for Waiting for Dawn and 2009 Danmarks Radios P2 Jazz Award. In this concert, together with her Danish musicians, she sings partly own material, but also music by Cole Porter and Rodgers & Hammerstein. The concert was recorded at Crescendo in Norrköping in 2018.